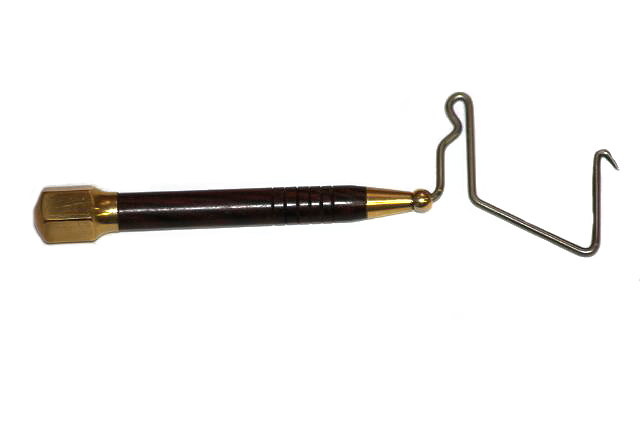 This beautiful and bespoke Rotary Whip Finish tool has been has been designed and manufactured by the well-known Yorkshire grayling angler Brian L Clarke to a design specified by his friend the well-known angler and fly-tyer Hans Van Klinken. This style of Rotary Whip Finisher has an off-set tying stem which allows the fly-dresser greater control over the placement of the final thread wraps during the finishing off the fly head. This bespoke design is also idea for the tying off of the famous Klinkhammer Special fly.